An undercover operation by Okmulgee police and state drug officials resulted in one arrest and nearly three ounces of heroin confiscated. Diana Olmos-Muniz, a 33-year-old Mexican national, was booked in the Okmulgee County jail for Trafficking in a controlled dangerous substance and Unlawful Delivery of a controlled dangerous substance. 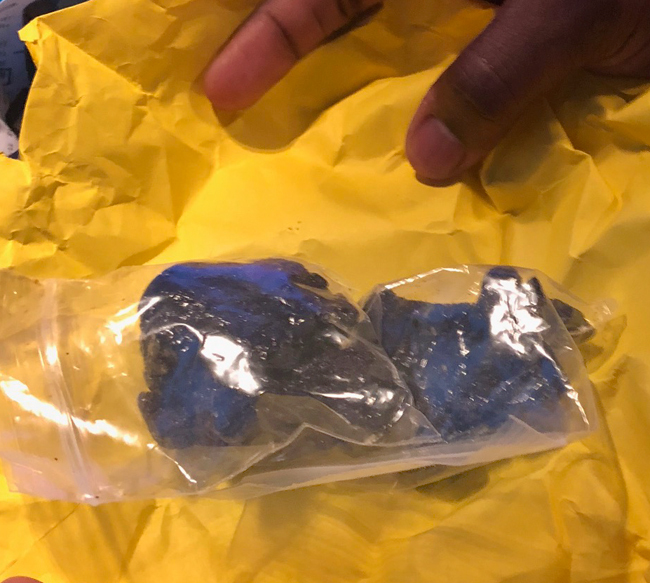 Okmulgee police chief Joe Prentice said the seizure was the largest in his career and is proof that the drug is making an appearance in the area now. Black tar heroin is considered a cheap and easy way to produce the drug. It gets its name from the fact that it is dark brown or black and has a tar-like, sticky feel. Street value of the drug ranges from $15 to $20 per gram. Aiding in the operation were the Oklahoma Bureau of Narcotics and Dangerous Drugs and the Oklahoma Safe Trails Task Force.